Was the apostle Paul’s thorn in the flesh a betrayal by the Corinthians, as John MacArthur surmises? No, it wasn’t; so why is John projecting his personal opinions on the Bible and teaching them as the Word of God? He does so because he doesn’t have the Spirit of God, yet presumes to lead others by his carnal knowledge and interpretations. John doesn’t know the Lord Jesus Christ or understand His ways. He therefore can ‘t lead others into God’s Kingdom. This passage may be the most notable, wonderful, and rich portion of Scripture to John MacArthur, but there are many passages that are every bit as great, rich, and wonderful to many people. These do not stand out in themselves above all others by any means. 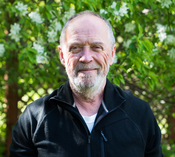 It is only John’s opinion – more on that later as to why. There are more specific answers as to why “bad things happen to good people” and why “bad things happen to ‘everybody’.” Read The Purpose of Evil, The Sons of Correction, and God Heals Today, His Way for a partial, yet much more specific, explanation as to why men suffer, be they believers or otherwise. “Even my close friend in whom I trusted, who ate my bread, has lifted his heel against me” (Psalms 41:9 ESV). King David wrote those words, experiencing the reality of them through Ahithophel, his trusted counselor, who turned on David and joined David’s son Absalom, who rebelled against David (2 Samuel 15). Those words were also prophetic (spoken by the Spirit of God through David) of a future event concerning the Lord Jesus Christ, fulfilled when Judas, one of His disciples, betrayed Him. Paul wasn’t depressed as the world knows depression. True, he was grieved, even indignant (not in a worldly or fleshly way), but he wasn’t depressed. Paul had overcome himself by the Spirit of the Lord within him long before God sent him as an apostle to the Corinthians. Think about it. Paul (when known as Saul of Tarsus) was abandoned by his family and closest companions when Christ appeared to him. Those who loved him suddenly hated him without cause. In Christ, he loved for the first time in his life those from whom the Lord was separating him, while they, without Christ, fully demonstrated their human hatred for him for the first time in their lives. That’s painful, but not depressing by any means, even though Paul was just a babe in Christ. Such a division happened to me, and it happens to all those who are called to true faith, to all those apprehended by Jesus Christ, taking up the cross to follow Him. Later, as a believer, people turned against me in a much worse way than what Paul experienced with the Corinthians, before I had come to victory and rest in the Lord. Was I depressed? I would definitely say, “No.” Sad? Hurt? Angry? Yes, some of the time, but not in the sense of defeat or carnal vulnerability, not at all. God was with me and comforted me through the entire process, which lasted 3 ½ years. How much more would God comfort and strengthen Paul at a time in his anointed ministry, one who had already overcome? John MacArthur: “I really believe that it was the…it was the point of Paul’s deepest, personal disappointment. It was his deepest personal pain. He was being betrayed by the Corinthian church where he had spent nearly two years in which he loved so dearly. I don’t see the Corinthians betraying Paul so much as being deceived and wandering away during their absence from Paul’s doctrine and spiritual nurturing. If they had betrayed Paul, they would have continued on their way, for that is the nature of betrayal – it comes of evil intent. The saints at Corinth went into error, Paul rebuked them, and promised that, if necessary, he would return with a rod and deal with those who were in error and those who caused it. (7) So to keep me from being too elated by the surpassing greatness of the revelations, a thorn was given me in the flesh, a messenger of Satan to harass me, to keep me from being too elated. (8) Three times I pleaded with the Lord about this, that it should leave me. (9) But He said to me, “My grace is sufficient for you, for My power is made perfect in weakness.” Therefore I will boast all the more gladly of my weaknesses, so that the power of Christ may rest upon me. (10) For the sake of Christ, then, I am content with weaknesses, insults, hardships, persecutions, and calamities. For when I am weak, then I am strong. What did this thorn in the flesh have to do with the Corinthians or their error? Nothing at all. John MacArthur presumes and errs. Anyone reading the entire first letter to the Corinthians will be hard pressed to find evidence for John MacArthur’s speculations. The unbelief, error, and disobedience of the Corinthians had nothing to do with Paul’s thorn in the flesh, the messenger from Satan, which God Himself refused to remove. Tell me, dear reader: Would God be unwilling to remove betrayal and departure from the True Gospel? Would God consign men to Hell to torment His servant, whom He sent to deliver them? Is that not an altogether deranged notion? And if Paul was depressed by no fault of his own and could be relieved of it, would God refuse him and say it was necessary? The Lord walked in the victory and peace of God, as did Paul, who was crucified with Him and lived by His Spirit. (22) Blessed are you when men shall hate you, and when they shall cut you off, and when they shall reproach you and shall cast out your name as evil, for the sake of the Son of Man. (23) Rejoice in that day and leap for joy. For behold, your reward is great in Heaven. For so their fathers did according to these things to the prophets. By the Spirit, Paul knew and understood these things. By the Spirit, we know and understand these things and experience them on an ongoing basis. At the start of this letter, I wrote, “It is only John’s opinion – more on that later as to why.” So why doesn’t John MacArthur know and understand these things? Why does he teach them? John MacArthur doesn’t have the Spirit of God. He has never been born again. How can one without the Spirit instruct in the things of God? He can’t, neither has God sent him to represent Him. John sounds like he’s been hurt by betrayal. It sounds as though some have turned on him, and he’s bitter about the event. May the Lord deliver him one day from his torment. However, I also see MacArthur suffering the traits of his mentor. John MacArthur believes John Calvin’s doctrine (read The Fruit of Cain Multiplied: The Murderer John Calvin). MacArthur and Calvin believe God deliberately predestined multitudes, likely the vast majority of mankind, to eternal torment. Yes, you heard that right. They believe that before God even created man, He planned to torment souls forever and ever. They would have no choice in the matter. They would live out their terms on earth and go to everlasting torment, in which they would suffer constant unspeakable horrors and never be destroyed, redeemed, or put out of their intense misery. Others, far less in number, the chosen few, God would select to live with Him in bliss for all eternity. These have no choice, either. No matter how wicked and ungodly their lives might be on earth, their destiny was certain. 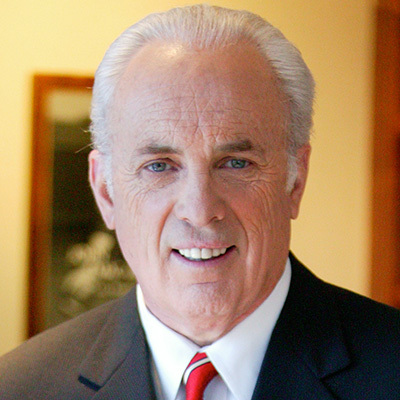 John MacArthur believes in the doctrine of a liar and murderer, a venerated blasphemer called a “reformer” and “great theologian.” MacArthur trusts in the Scripture interpretations and doctrines of a man who personally, with great relish, condemned true believers in the Lord Jesus Christ to slow, agonizing death at the burning stake of green faggots, simply because they believed the truth and tried to reason with Calvin about his error (Servetus was one such martyr). Being true believers, these saints didn’t persecute Calvin, but he, a certain devil, persecuted them (read The Persecutors and Persecuted). That fact in itself tells the good from the evil. John Calvin was demonic. Those who believe and follow him do so only because they themselves don’t have the Spirit of God. They could only believe such horrific lies if deceived. So how shall John MacArthur understand the Scriptures and the heart and spirit of our beloved brother in Christ, the apostle Paul? There’s no way. I could go through the remainder of MacArthur’s sermon we’ve discussed and point out so much more error, but know I’ve said enough for those with a heart of truth and some understanding and discernment. Need I say more? If so, let me know, and Lord willing, we’ll see what we can do for you. MacArthur even gives verse nine as a defense of his doctrine. The problem is there is no acknowledgment of the truth of God’s perfect work and complete deliverance from the power of sin in this world. It is unbelief. His speech tells us he doesn’t understand the things of the Spirit. Yes, Christians can sin, but let’s understand better and give true hope for those seeking to be free of sin. Read Diabolical Doctrine: It’s Impossible Not to Sin and Do Christians Sin? MacArthur says, “Eradication of sin is not possible, but the Holy Spirit does provide for victory over sin.” What kind of victory is that? He says that sin is overcome when we don’t sin, but sin still prevails over us? Calvinists mislead people with diabolical doctrines. God has shown us the way He has made for us and that is to be without sin by the power of His life, even as He was the Pattern Son on earth. Will He, then, lead us to an “almost there” state in this world and not be the Omega of our salvation? Says who? Says those who have never known the Lord, that’s who. They’ve never known the right way, the impossible way, which only God can make known and apply to those He calls and chooses and makes faithful. Amen! John MacArthur is yet another false teacher, a Calvinist disciple, who is impressive and quite capable of deceiving many simple and unstable souls. Our part is to shine the light and warn all of prevailing error, illuminating their path and steering them clear of the pitfalls in their spiritual pilgrimage.